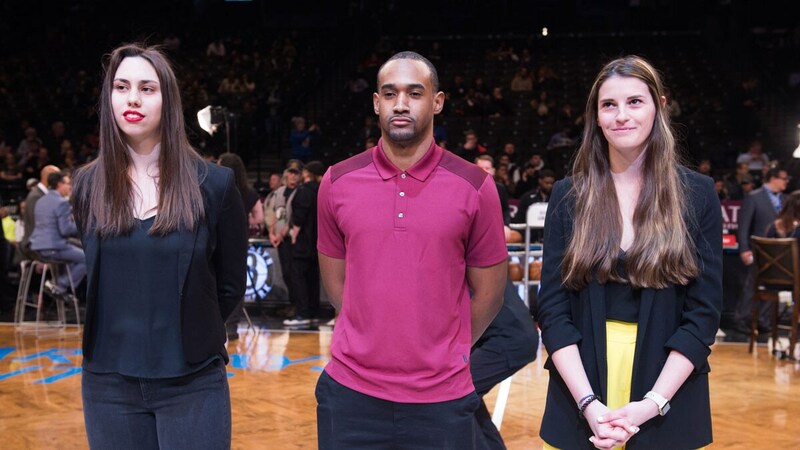 On March 6th, 2019 at Barclays Center, the Brooklyn Nets partnered with New Era on the Tip of the Cap program to honor a “New Era” of students for their collegiate success and entrepreneurial drive during a pregame feature. Our honorees this year are from LIU Brooklyn and are student-athletes who are also pursuing a career in sports through LIU Brooklyn’s Sports Management program. We were pleased to welcome and recognize Viktoria Fink, Beresford Sweeney, and Jovana Stekovic.